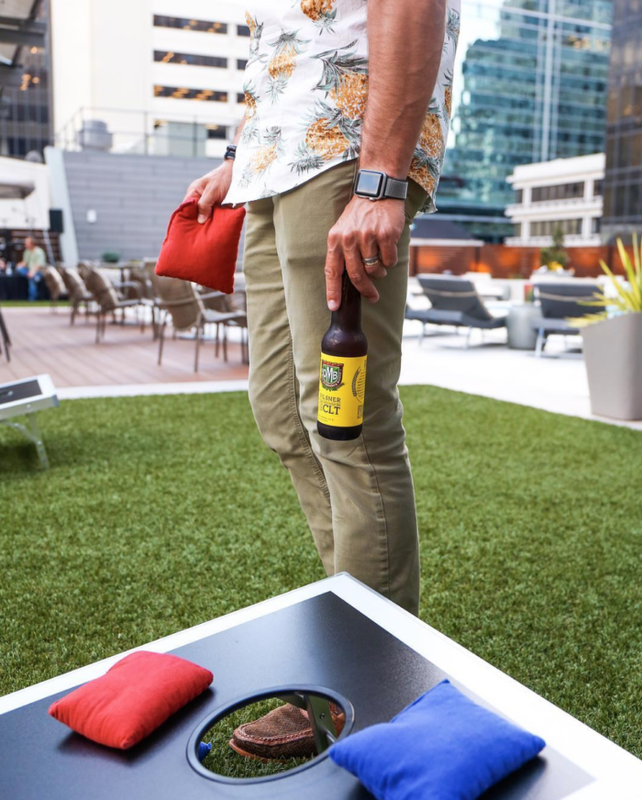 Looking for next-level outdoor drinking destinations? 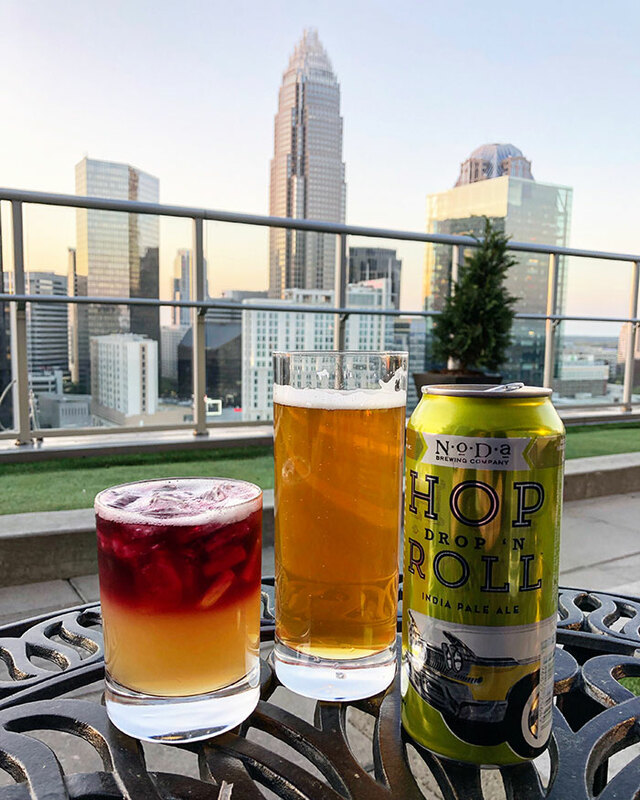 Here are the 10 best rooftop bars in Charlotte. 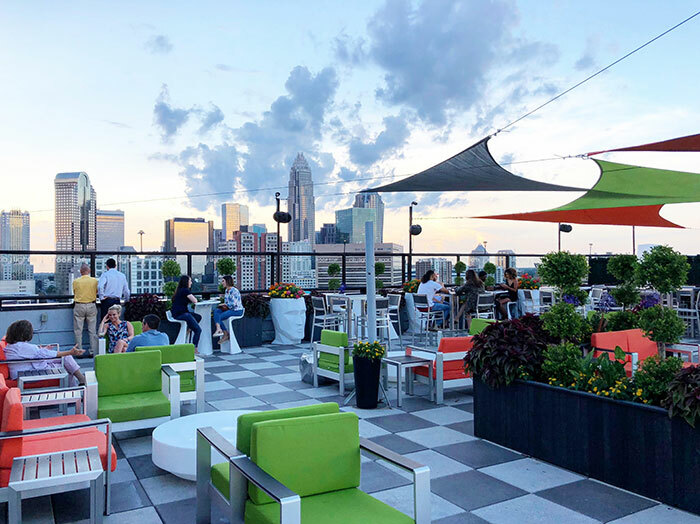 We’ve rounded up Charlotte’s best rooftop bars — from flashy Uptown high rises with dress codes and lines at the door to chill neighborhood hangouts perfect for day drinking with a view. Dress code: The dress code is serious and they won’t hesitate to deny you access in “flip-flops, baseball caps, tank tops, sports apparel, sweatshirts, work or hiking boots and ripped clothing.” Team jerseys are allowed during Bank of America stadium events only. Set up: The flexible, indoor/outdoor space features an indoor bar with floor-to-ceiling windows, an outdoor covered terrace, a semi-private VIP section and a sprawling “lawn” with a retractable roof. 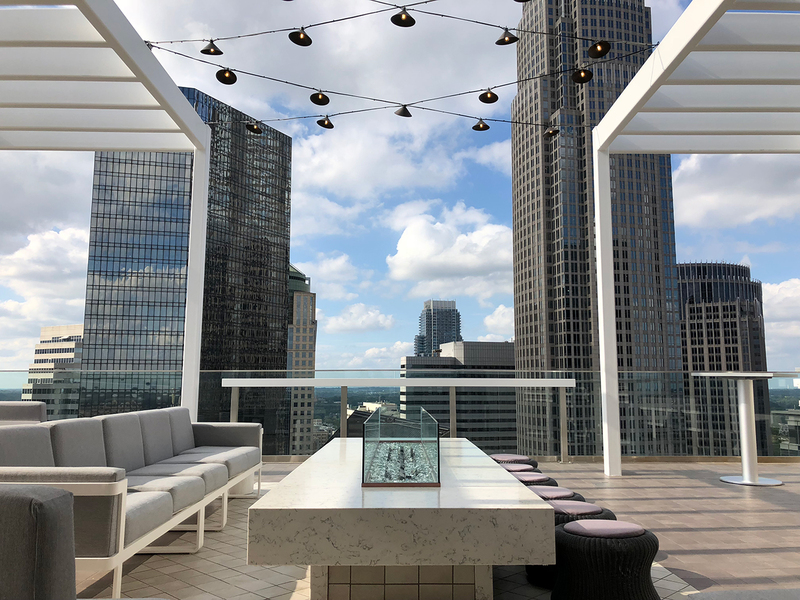 Views: The view from this 21st-floor restaurant and bar has to be one of the most Instagrammed in town thanks to the sun setting behind the buildings and the linear fire pit on the patio that really sets the whole thing off. 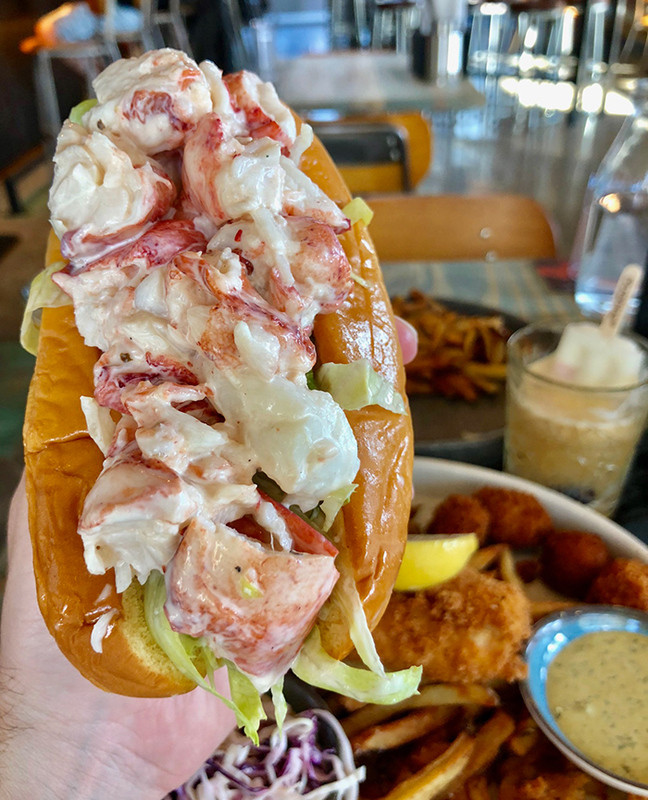 Food & drink: It’s a full-service restaurant inside with floor-to-ceiling glass doors in the bar area that slide open to the terrace the view. Evening is a major draw but don’t miss the only rooftop brunch of its kind Sundays 11 a.m. – 2:30 p.m.
Views: The 18th-floor outdoor terrace at the Le Meridien Hotel has arguably the best, most complete view of the city skyline plus the only 360-degree view among the major Uptown rooftops. 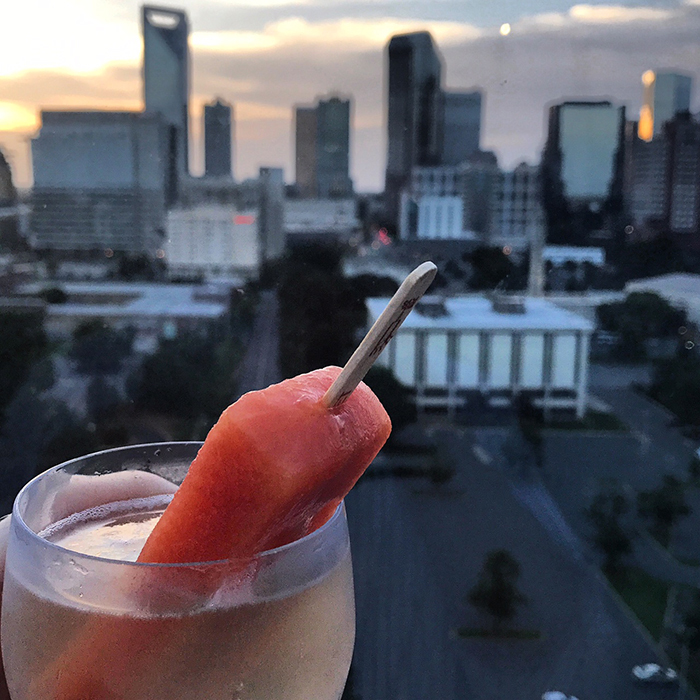 Must-try cocktail: They’re best known for their Sparkle & Pop, a $14 glass of bubbly with a local King of Pops popsicle inside. Views: Graham Street Pub is unique in its offering among Uptown rooftop destinations. For starters, it’s not soaring 20 stories above the city. But you’ve got to hand it to them — the view from atop the single-story building is pretty spectacular. Come as you are: You won’t find dress codes, elevator lines or formal dining here. 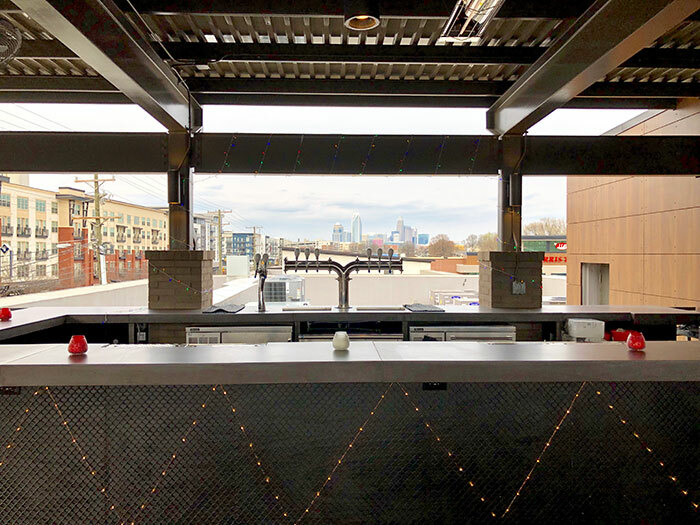 Those are all great and certainly have their place, but Graham Street, on the flip side, is the place to be for a more casual rooftop alternative in Uptown. Daily specials: They’ve got deals seven days a week, including $6 burgers on Wednesday, $5 margaritas and $2.50 tacos on Thursday and $5 rose and prosecco on tap on Saturday. 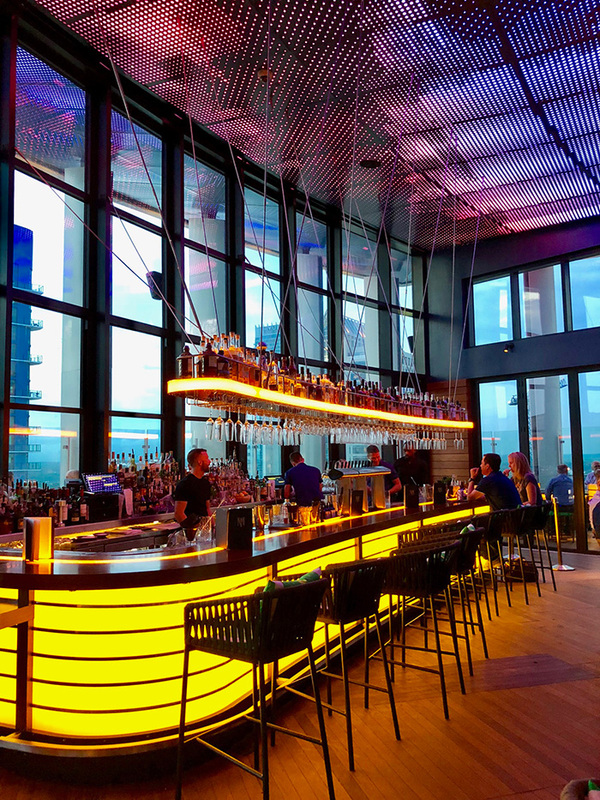 Set up: Located on the 22nd floor of the dual-brandedAC Hotel and Residence Inn, Nuvolé features a 2,400-square-foot indoor space with a large U-shaped bar and floor-to-ceiling windows. Outside, you’ll find 2,400 square feet of partially covered patio space with lounge seating and fire tables. High life: Want to stay awhile? There’s a penthouse suite across the hall available for rentals. Specials: $1 oysters from 4-7 p.m. Monday through Friday. They’ve also got live music and tiki drink specials every Thursday as well as a DJ, mimosas, Bloody Marys and punch every Sunday. Cocktails: The drink menu includes boat cocktails, frozen drinks and draft cocktails. Popular cocktails include The Waterman’s Sunken Pirate —Wild Turkey 81 Bourbon, ginger, blueberry puree, basil and lemon ($13); Clement — Old Forester Bourbon, Brugal Anejo Rum, Velvet Falernum, Peychaud’s bitters, and pineapple gum ($12); and the Nautical Mule — Pinnacle Vodka, ginger, blackberry, star anise and lime ($9). 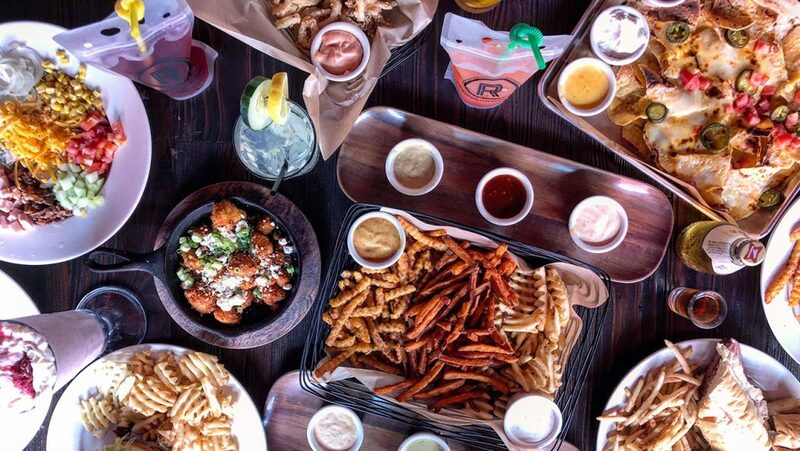 Menu: Dishes includes tacos, seafood plates, salads, po’ boys, burgers, sandwiches, shareables and, of course, oysters. 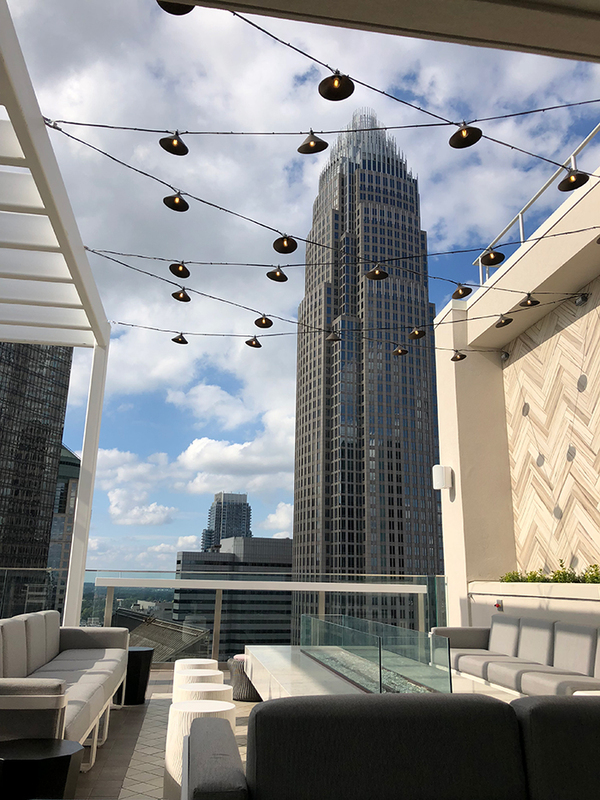 New & improved: The 41-year-old Omni Charlotte Hotel, one of the oldest hotels in Uptown, underwent a massive $30 million renovation recently, including major upgrades to the pool deck. Game day: A massive dual-sided LED screen (22′ wide x 12 ‘ high) makes this a unique spot to catch sporting events. Events: Rooftop 210 hosts everything from concerts to fashion shows. Look for their rooftop yoga series in the warm weather months. Set up: There’s a bar hut in the middle with prime stool seating and ample high top seating around the perimeter. Thanks to a jackpot location in the heart of Plaza Midwood, this spot is consistently packed when the weather is right. 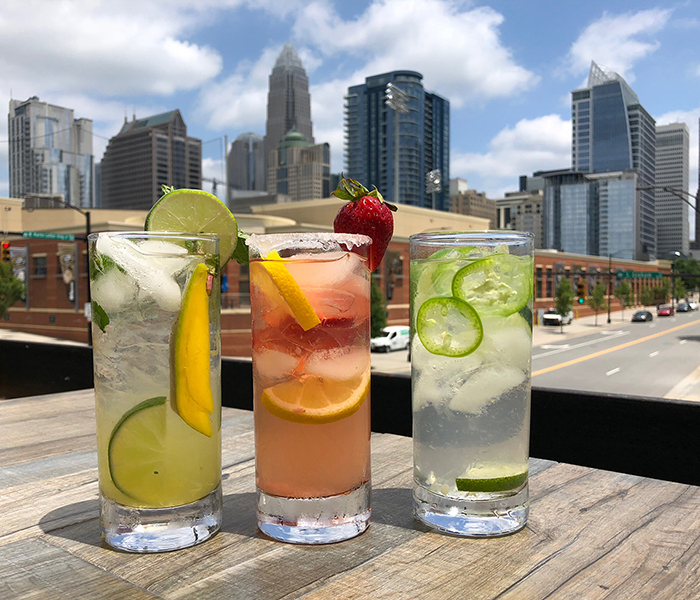 Daily deals: Specials available 7 days a week include $3 sparkling rose on Wednesday, 1/2 off glasses and bottles of wine on Thursday and $2 mimosas and $4 Bloody Mary bar all weekend. 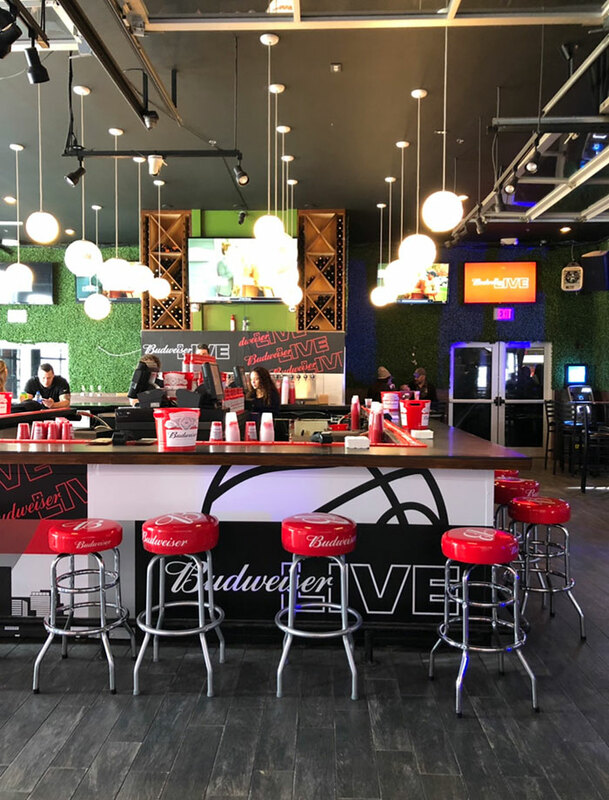 Set up: This spot has you covered from the ground up with a ground level beer garden, main dining room and a second floor bar. 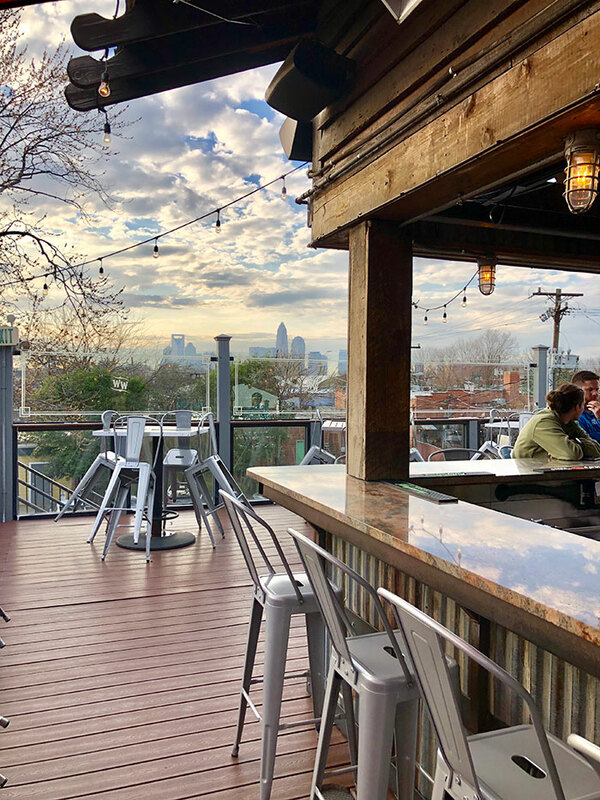 But the best spot is on the rooftop terrace where you can catch Plaza Midwood’s best view of Uptown. Go when: You want a casual brunch with a view; catch it every Saturday and Sunday 10 a.m. to 3 p.m.